"I heard about Shalom Dental through 1-800-DENTIST, Dr. Gbenle is THE best!!! I will be back!! Tiffany was patient and sweet, she was so nice even through all of my pain while talking to her on the phone last week. Let's not forget Dr. Gbenle's assistant Ms. Delta, was sweet as well, and very patient!" "Dr. Adnike Gbenle has created Shalom Dental in a spirit of loving care to make the experience of a visit to her distinctly different from the customary dental visit. She is not only highly skilled as a dentist but, also, completely ...More"
"BEST DENTIST I EVER BEEN TO! Dr. Adenike is the best dentist I've been to. She explains everything that I need to know at whatever level of detail I desire. She has a great staff working with her. I highly recommend Shalom Dental!" "I have recently started visiting Shalom Dental. And I must say, Dr. Gbenle is AMAZING. I'm mortified of dentists and her and her staff made me feel welcome from the beginning to the end. I will be going back frequently for a while to fix my teeth and I have no frets of returning!" "Dr Gbenle is an awesome dentist. She's very thorough, personable, and friendly; makes you feel welcome at each visit. Her staff is very nice too, always greet you with a smile and great customer service. I love the atmosphere of the office ...More"
"It was a job well done. I think this is the best dental place that I have visited for the past 20 years that really took good care of me. I will recommend this place to my oldest son. Thanks Dr. Gbenle!" "I've always had a fear of going to the dentist office, from stories I've heard of other people or just my personal experience. I did a search on my insurance website of local dentist in my area and Dr. Gbenle's office was one that showed"
"Today was my second time this week visiting Shalom Dental.The staff was very friendly and polite,and the doctor herself was very gentle and made me feel comfortable.I have been looking for a good dentist and i think i have finally found one." "I am certainly glad to share my wonderful experience with Shalom Dental. Everyone on the staff from Dr. Gbenle to her assistants are all very pleasant to be around." "During the past year my family and I have visited the office for routine cleanings and other Dental procedures. Dr. Gbenle and her staff are very professional and knowledgeable. 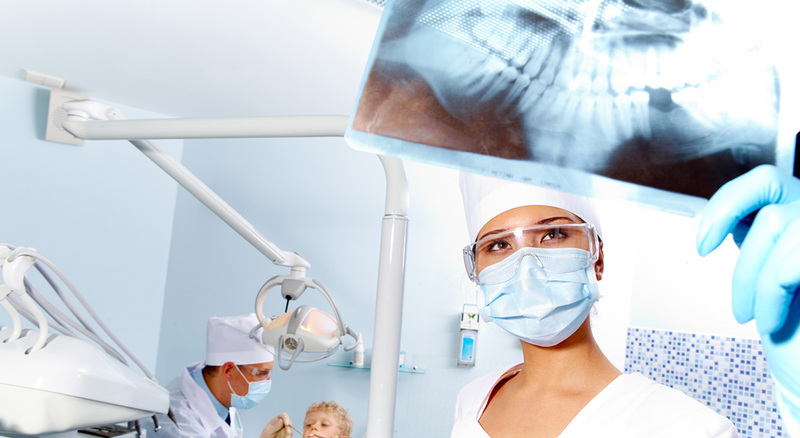 I highly recommend her practice as she has become my family 's primary dentist." "I enjoyed my experience at Shalom Dental. The staff was courteous and professional. They were also patient and treated me with respect"
"Shalom Dental would make your dental visit fun and comfortable. They care about you, your teeth and giving you a beautiful smile." "The environment is very relaxed, the office is clean and professional, and the staff are exceptional. Everyone is very kind and I will definitely be returning." "Very good service, friendly environment. Dentist was very gentle and really makes you very comfortable"
"The visit was very pleasant and pain free. Everyone was very firiendly"
"Outstanding staff! Everyone was extremely friendly and helpful. I felt very relaxed. The dentist was extremely knowledgeable as was her staff. It was the best dentist experience that I have ever had." "Today was my first visit to the office and it was vey pleasant. Very polite staff and very clean office"
"I have always been afraid of the Dentist office. My first visit was so very pleasing. The staff was during the job more than 100%. Even gave me a tour of the office. The office is in a nice environment and is very clean." "Shalom Dental is amazing. It lives up to its Hebrew name Shalom which means peace! You get such a peaceful feeling being in the office. The staff is very welcoming. And Dr. G is a master of dentistry. My smile has never looked better!" "My name is Sunday Boyd. I am a patient of Dr. Gbenle. I had some dentures made. They turned out fantastic! I have no pain whatsoever. I would recommend her to all my friends in a heartbeat. Thank you for your service." "great job, very caring and gentle. Would tell anyone asking about a dentist to come here! :0"
"Amazing! A dentist that really cares, very professional and family oriented. I would recommend Shalom Dental to my closest friends"
"Dr. Gbenle was awesome and her team to match. I have always dreaded going tothe dentist because they murder during the cleaning process. Dr. Gdenle was so gental and I had no residual bleeding. The initial service was so good that I went ...More"
"The facility is modern, the dentist , dental assistant as well as the receptionist were pleasant and very professional. Took time (dentist) to explain what procedure I needed to have done. Overall I am very satisfied with my first time visit." "Clean, great stfaff, pleasant smile, very welcoming, will definitely refer people over – nice gentle staff, great experience overall!!" "The staff was really professional and the doctor was even better. She explained all work done. The office was a excellent environment very clean." "I am been going here since 2013. What impresses me the most is that Dr.Gbenle is son personable and when we worked in the same building she would always go out of her way to say hello." "I had a wonderful visit. Everyone was very nice and I can see myself going back in the very near future!" "Everyone was so nice and sweet. They got me in and out in great timing. The Doctor was lovely and I would love to come back as well as have my kids come here. Loved the place. Thanks so much!" "Outstanding service always joyous and feeled with happiness that keeps you comfortable while your procedure is done"
"Easy location to get to. Serene and tranquil atmosphere. Staff was very professional and friendly. All questions were answered thoroughly. Looking forward to follow-up appointment already." "pleasant team, professional advice and approach to work. Serene atmosphere!" "Very kind and gentle. Professional and does excellent work." "They were friendly and accommodating"
"This is the best dentist office in the city, hands down! 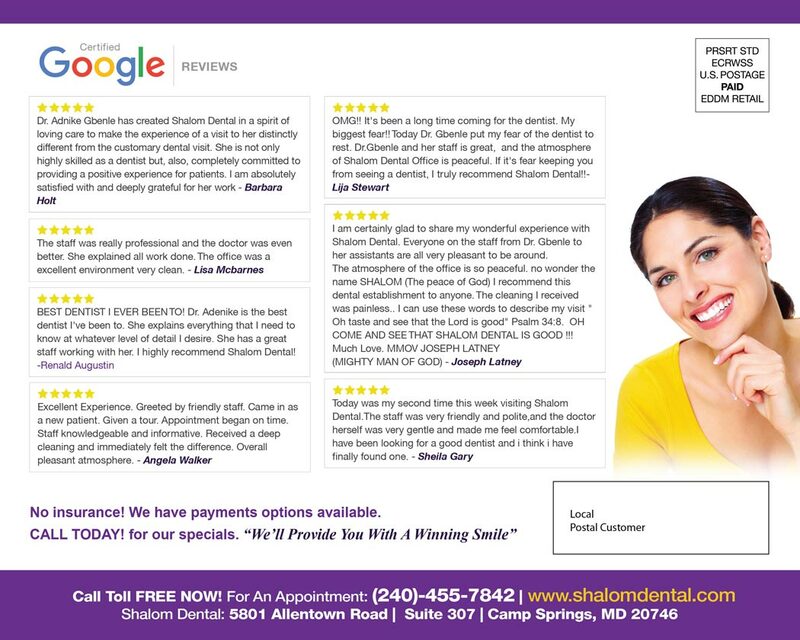 If you're looking for a new dentist or have been putting off a visit, i would definitely recommend Shalom Dental in Suitland, Maryland." "It was a nice experience with gifted dental hands. I LOVE the ambiance, decor, and office layout.The atmosphere was VERY relaxing. Thanks!" "OMG!! It's been a long time coming for the dentist. My biggest fear!! Today Dr. Gbenle put my fear of the dentist to rest. 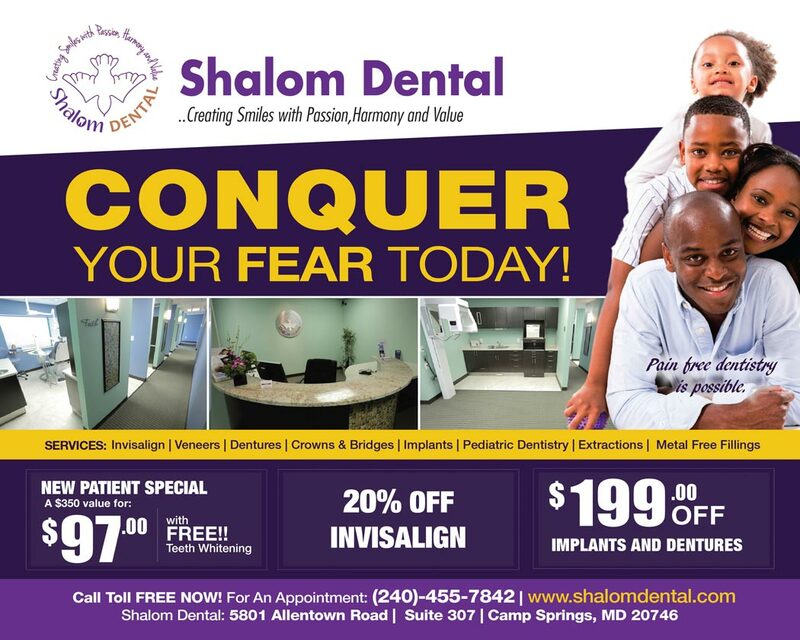 Dr.Gbenle and her staff is great, and the atmosphere of Shalom Dental Office is peaceful. If it's fear keeping you from seeing a dentist, I truly recommend Shalom Dental!!" "I was referred to Shalom Dental. While calling for an appointment I was nervous because of my fear of going to the dentist. One my first visit Dr.G and her whole staff welcome me in. They all were so professional, kind, and loving." "Awesome Service. Dr. G has the Greatest hands. God has truly blessed her. Thank you Dr G."
"Excellent service and care. Family friendly environment. Painless cleaning. Loving and professional staff"
"My experience at Shalom Dental was far better than amazing. As soon as I steeped in, I knew it was going to be a wonderful experience. The staff greeted me with a friendly smile, which gave me assurance that I was in capable hands." "Very good service. I would highly recommend to others. Very nice office! I like the care and concerns that were addressed. Very caring staff"